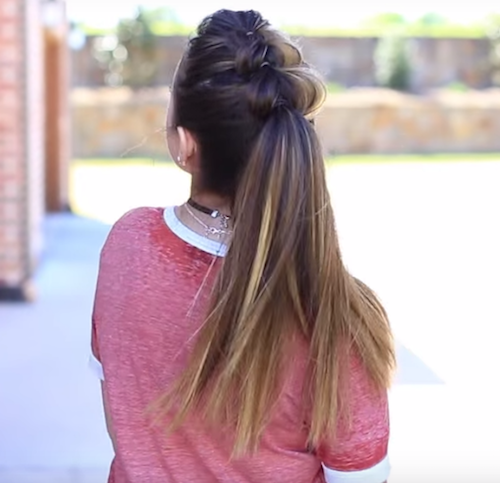 5 Fun, Flirty & Easy Hairstyles For The College-Going Girl! Whether you’re always taking notes at lectures or are spending most of your time in the canteen instead, your college style should be fun, flirty and fresh. We help you bring your A-game to campus with these pretty and super easy college girl hairstyles. Why should you rock boring hair, even on days when you hit snooze too many times?! Image: Grazia India on Instagram Our desi girl gone west looked smokin’ at a recent red carpet do and we think her messy braid is fun and young, perfect for someone like you! Step 1: Tie your hair into a low ponytail, leaving a few strands loose to frame your face. Wrap a sliver of hair around the base of the ponytail and pin it at the bottom to conceal the hair tie. Step 2: Now start braiding. You can try a regular plait or a fishtail braid (learn how here). We think either look cute. Secure it at the end and conceal the hair tie in the same way. Step 3: Remember it’s meant to look messy, so don’t bother about neatness. Make a tight braid and then gently tug at it. Priyanka’s braid is thicker at the top and thinner at the bottom, so gently pull at the braid more at the bottom. This style is so unique and perfect for beating the heat with lots of sass! Step 1: Take a little section of hair from your front hairline, right in the middle and wrap an elastic around it. Puff it out. Then, take another section below it (this one will be a bigger section) and secure it with an elastic right below the first one. Step 2: Take the first section, divide it in 2 and wrap it around the second section. Merge this first section (which you just split into 2) with a section of hair below the second one and secure it with an elastic. You should have 3 sections secured with elastics now. Step 3: Now with section 2, do the same thing, ie., split it in 2 and wrap it around section 3 before incorporating it into another section. Now you should have 4 sections secured with 4 elastics. Step 4: Now gather all the rest of your hair, split section 3 into two and wrap each of the these two around all your hair and secure it all into one big ponytail. Pouf up the top front sections and you’re set! Watch the video here. Image: Katrina Kaif World on Instagram This celeb-approved hairstyle gets your hair out of your eyes, is super easy and works for shorter hair too. Step 1: Take a thick section of hair in the front right in the middle. You can take it from the middle of one eyebrow to the other. Tease it a bit with a comb so it will have some volume and then tie it with a rubber band. Step 2: Tug at the hair on the top then tease your ponytail with a comb so it looks fluffy in the bun. Step 3: Now twist it into a bun, use a few bobby pins to secure. Tease your hair at the front around it to prevent your hair from looking flat. What better way to add a bright pop of colour to your style than with this super cute hairstyle? Pick a colour of your choice for the ribbon. Step 1: Tie your hair into a low ponytail on one side and secure with a hair-tie. Now take your ribbon and tuck one end through the hair-tie and pull it through so both ends of the ribbon are at even level. Step 2: Take one side of the ribbon and wrap it around the rubber band to cover it up before starting your braid. 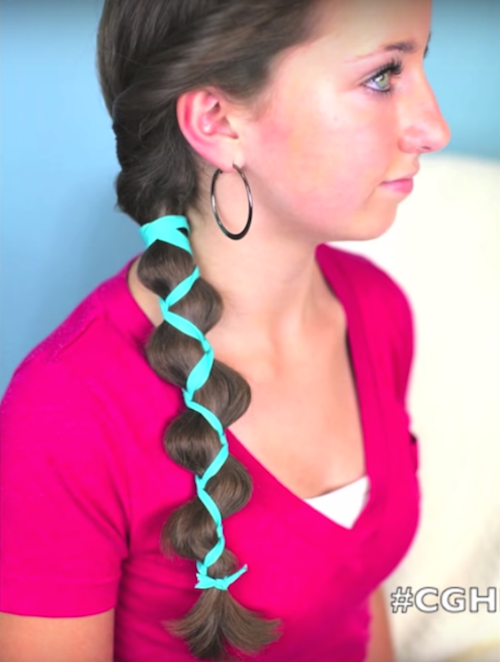 Step 3: Now both sides of your ribbon will be 2 sections of your braid and the rest of your hair the third. Make a standard 3-section braid down to the ends. Once you reach the end, tie a tight knot with both ends of the ribbon to secure it. Cut off the ribbon below the knot if it’s very long. Watch the video here. Image: Alia Bhatt on Instagram Bring a playful touch to your regular style inspired by B-town’s youngest fashionista. Step 1: Split your hair down the middle. Begin French braiding one side halfway down the length and secure with a thin rubber band. Learn how to do a classic French braid here. Step 2: Wrap a thin piece of hair around the rubber band and pin it at the bottom to cover it up. Step 3: Repeat the same on the other side. Featured Image: Shutterstock HAVE A STORY IDEA FOR POPxo? If you want to hear about it, we can write about it! Just tell us your idea here! 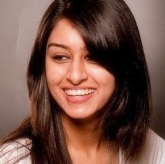 MUST-READ: 6 Pretty Hairstyles For Long Hair – Perfect For Summer! MUST-READ: 8 Super Cute (And Easy!) 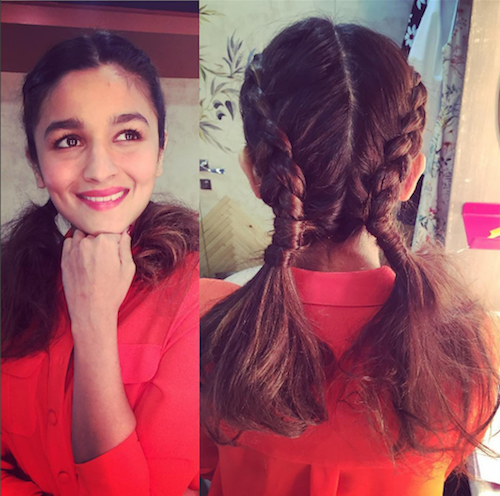 Hairstyles To Steal From Alia Bhatt!